The first elected Officers were: Pastor: Rev. Edmund Dallas Hubbard; Deacon: Brother William Samuels as Chairman of the Board; Clerk: Deacon Warren R. Salter; Treasurer: Sister Emily Hubbard. Other officers were later elected and auxiliaries and departments were formed. The General Missionary Society was organized in 1918. All of the original organizers have gone home to be with God and they have left their footprints in the sands of time and have given us a good, solid and firm foundation to build upon. 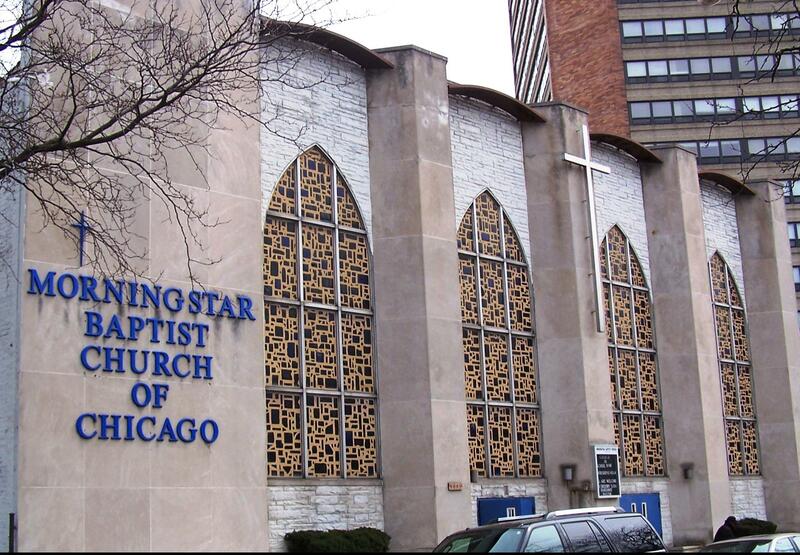 On April 1, 1919, a charter was granted to the Church by the State of Illinois, under the name of Morning Star Institutional Missionary Baptist Church. Also, in 1919 the Church purchased the property at 3800 South Vincennes. Through the years, the Church continued to grow spiritually, financially and numerically under the leadership of the second and third Pastors, Rev. George W. Alexander and Rev. Picney A. Prince. In May, 1933, the final note of the property at 3800 South Vincennes Avenue was paid. A Mortgage burning service was held in July, 1933, under the leadership of our fourth Pastor, Rev. Ira Monroe Hendon. In 1936, the property was sold to the government for a housing development. Morning Star has had eight Pastors, six of whom have been called home to Glory. 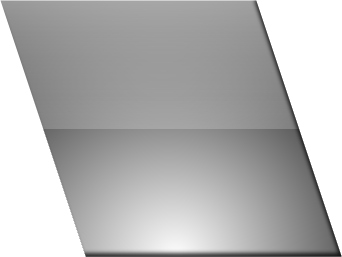 1st - Rev. Edmund D. Hubbard (July, 1917 - January, 1922). He resigned to serve as a Missionary in Liberia, West Coast of Africa. 2nd - Rev. George W. Alexander (February 22, 1922 - June, 1926). He was recommended by Rev. E. D. Hubbard and served for four years, then resigned. 3rd - Rev. Picney A. Prince (1926 - 1931). Due to ill health, he was unable to continue his pastoral duties and was granted a leave of absence. He went to Texas where he remained until his death. 4th - Rev. Ira Monroe Hendon (November, 1932 - October, 1958). Through the leadership of Rev. Hendon the Church purchased the 3993 property in 1936. He was a great leader and able administrator and was widely known for his Home Mission work. He served until his call from labor to reward. 5th - Rev. Luke W. Mingo (1959 - February, 1993). He was a great leader, teacher, preacher, pastor, builder, organizer and administrator, as well as a man of vision. He served untiringly and was called home while still doing God's work. 6th - Rev. Percy C. Slaughter (July, 1993 - January, 2003). He was a humble servant of God, and widely known as 'The Children’s Friend." He was busy in the Lord's Service when he was called Home. 7th - Rev. Willis E. Singleton (December, 2004 - December, 2006). During his tenure, his greatest accomplishment was the instituting of the gargantuan “Roof Pledge Drive.” This dream was recently fulfilled. In 1936, the Church purchased the property at 40th and South Parkway (now Dr. Martin Luther King, Jr. Drive), our present location. Originally, this building was an auto repair garage until dedicated members and their monies prepared it to be a proper place of worship. Morning Star worshipped at 664 East 43rd Street for a short period of time during 1937 until the new property was suitable for worship. In May, 1937, services were held in the new Church at 3993 South Parkway (King Drive). 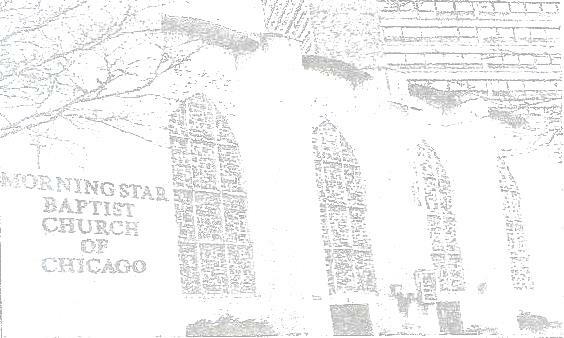 August 1963 - Morning Star became the owner of the property north of the Church (3959 1/2 - 3979 South Parkway (King Drive). The existing stores were demolished and a parking lot was built. Under the pastorate of Rev. Dr. Luke Mingo, the fifth Pastor, there was instituted an Annual Fellowship Dinner upon seeing the need of a greater "fellowship" among the membership. It was given at the expense of the Church. The first Fellowship Dinner was held in January of 1964. Awards and trophies were given to the Family, the Member and the Department of the year. Each year, a trophy or plaque was presented to Pastor Mingo for outstanding leadership. Also, under Rev. Mingo's pastorate, major remodeling began in 1965. The cornerstone was laid December 12, 1965. Within 13 years the Church was paid for. On April 30, 1978, Morning Star held a three-in-one celebration; a Mortgage Burning, Dedication and Homecoming. Shortly thereafter the Education Center and Fellowship Hall were completely remodeled and refurbished. The Church's Fellowship Hall has been used by other churches and individuals for programs, weddings, receptions, dinners, luncheons and prayer breakfasts. Additionally Morning Star has hosted District, State and National Conventions. Under the sixth Pastor, Rev. Percy C. Slaughter further milestones were accomplished. The heating system was upgraded; air conditioning was put in upstairs in the Fellowship Hall; new stained glass windows were installed in the Sanctuary; the Church was painted upstairs and downstairs; three Deacons were crowned; the name of the Church was changed; new programs and ministries were enacted - The Morning Star Metro Newsletter, the Technical Production (the Tape Ministry), the Kitchen Chat, and the Drama Ministry. Rev. Willis E. Singleton was the Church's seventh Pastor. During his tenure, work was continuously done on improvements in the Office area putting in adequate file equipment, a color copier, a new PC and printer. Rev. Gregory S. Hardaway, embarked on a mission to increase the spreading of the Gospel through the various ministries of Morning Star. Our current Pastor, Rev. Dr. Henry A. Barlow, started the growth of Morning Star under his tenure by not only being installed as Pastor, but with the members of his former church, Tremont Baptist, joining the ranks and immediately blending right in.